Though she is the newest member of the CO team, joining in the fall of 2017, Miranda is no spring chicken when it comes to large events. Coming from an events background she has served as a stage manager, volunteer coordinator, and producer in theatres, cruise ships, and festivals across the US. After working all around the country, she settled in the Portland in 2011. She has acclimated quite well to Cycle Oregon and the wonderful world of spreadsheets, telecommunications, and digital correspondence, but most of all, she enjoys getting out of the office and working with all of the amazing communities, volunteers, and riders that make CO events so great! When not working, Miranda can be spotted engaging in sporting events, spending time with her rambunctious pup, or sipping on a seasonal beer. 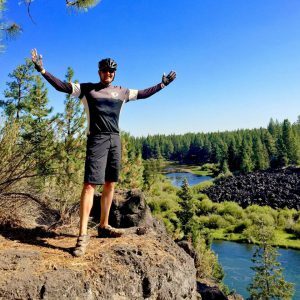 Prior to joining Cycle Oregon in 2008, Steve was in the fitness and adventure industry for over 20 years as the founder and owner of STRADA, in Portland, OR. 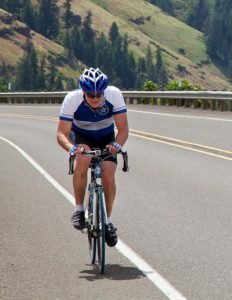 Steve’s first Cycle Oregon experience was in 2001, taking a group of cyclists he was training on the week event. From then on, he was hooked. As soon as Steve was walking, he was backpacking, playing sports and music, and riding a bike—it was all about adventure and discovery. Being active and exploring the outdoors have always been a part of his life. 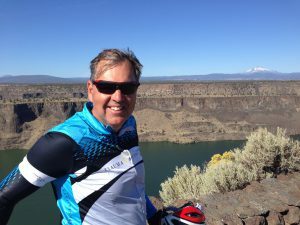 Growing up in a small town in Wyoming, Steve understands the challenges of rural communities and the opportunity for Cycle Oregon to not only provide economic impact, but to help facilitate constructive change for years to come. Steve’s greatest reward in his professional career has been helping to transform people’s lives. When not traveling throughout the beautiful state of Oregon looking for routes unknown, Steve enjoys spending time with his family and trusty Labrador, playing music, over landing through the backcountry, and wetting a line in any available body of water. 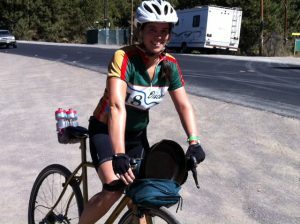 Tara Corbin has been in Oregon since 1999 and with Cycle Oregon since 2001. 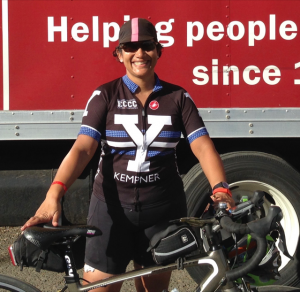 She has the great pleasure of working with all of the communities throughout the state and truly believes that they are what make Cycle Oregon such a special event. During the events, you will find Tara working at the overnight site managing logistics and a variety of other things. When not working, she enjoys reading, hiking, camping and listening to music. Most of Brad’s working career has been related to the management of the sales, marketing, and distribution of consumer products. He has gained experience in a diversity of business cultures that range from large corporations to small family companies. 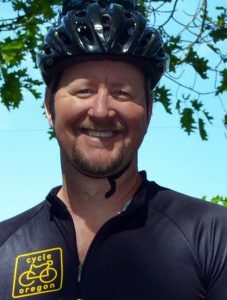 Brad enjoys cycling in his free time, and is a veteran of many Cycle Oregon events. It was during those rides that he realized he was as excited and amazed about the logistics of camp as he was the day’s ride. When a position opened to help facilitate those logistics, he jumped at it. During the year, his responsibilities revolve around equipment, supplies, and the warehouse. He can be found during events staffing the (air conditioned) office RV. Tom joined the Cycle Oregon staff at the start of 2017. Prior to that, he’s been part of the larger CO family as an independent contractor, booking music for Cycle Oregon events starting in 2012. As Operations Director he looks after planning and permitting all CO event routes, music booking, some marketing responsibilities and other duties as assigned. In his previous work life, Tom had his own artist management company, looking after all aspects of his client’s domestic and international music recording and performing careers. An Oregon resident since 1995, he loves the opportunity that working for CO provides to explore ever more of this great state. On a bike is truly Tom’s happiest place, but he also greatly enjoys playing bass guitar, home remodeling/construction, ultimate frisbee, hiking, and traveling with his wife Julia. J.S. 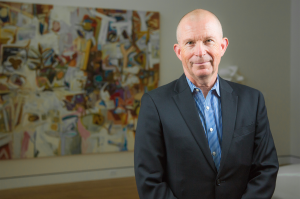 (John Stuart) May is the Chief Advancement Officer for the Portland Art Museum, where he leads the development, membership, marketing and government relations efforts. He is seasoned fundraising and communications professional and has worked with a wide range of local, regional, national and international nonprofit organizations. He has helped raise more than $500 million. He has been with the museum since May of 2007. Prior to thePortland Art Museum, for seven years J.S. led the fundraising practice for Metropolitan Group, a Portland-based social marketing firm. For the six years prior, he led the Doernbecher Children’s Hospital Foundation at Oregon Health and Science University through a highly successful capital campaign that created a new children’s hospital. Prior to Doernbecher, J.S. spent six years as the director of corporate support for Oregon Public Broadcasting. A graduate of the University of Oregon, J.S. 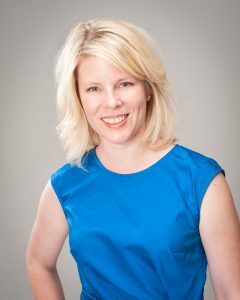 has volunteered for numerous nonprofit organizations and has served multiple terms as president of the board for both the Portland Schools Foundation and the Portland Chapter of the Association of Fundraising Professionals. 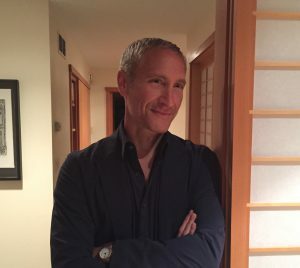 He currently serves as president of the Cycle Oregon Board and is board member for the Creative Advocacy Coalition. J.S. is an avid yogi, cyclist, and reader. Jackie Yerby is a long-time social justice and active transportation advocate. In addition to serving on the Cycle Oregon board, Jackie is also on the boards of the Community Cycling Center and Basic Rights Oregon. She had previously served on the boards of Catholic Charities and the Cascade AIDS Project. Jackie lives with a dog and two cats in the Alberta neighborhood in NE Portland. She started riding Cycle Oregon Week Ride in 2010 and has no plans on stopping. She likes to garden, but tends to spend most of her free time training for Cycle Oregon. She is an occasional bike commuter but strives to do better. Hooked after his first day of Cycle Oregon #10 in 1997, Scott has participated in over a dozen Cycle Oregon rides. Scott is Director of Internal Audit at The Greenbrier Companies, an international manufacturer of freight railcars headquartered in Lake Oswego, Oregon. He has also worked in finance and accounting at other Portland based public companies such as Cascade Corporation and InFocus. Scott began his 25 year career working as a Certified Public Accountant for Deloitte in the San Francisco Bay Area. Scott has been a guest lecturer at Portland State University School of Business Administration presenting on Global Financial Accounting to graduate students. He has also served as Treasurer for the Association for Children and Adults with Learning Disabilities. Scott holds accounting degrees from Brigham Young University. Scott and his wife Cody live on and manage a small forest tract in Yamhill County. Chad Davis catalyzes increased connection between people and place. Currently he is employed as the Director of the Partnership and Planning Program at the Oregon Department of Forestry. His professional experience has introduced him to many community leaders in rural Oregon and vested a passion for these places deep within – both for their natural beauty and the people that are the stewards of our forests, ranches and farms. Chad prefers to climb out of the saddle. When he’s not on his bike, he is either toting a backpack through alpine meadows or generously supporting Oregon’s craft brewing industry. Dan Eller is a shareholder in the Portland office of Schwabe, Williamson & Wyatt, where he leads the Firm’s Tax Practice Group. Dan advises clients with both transactional and controversy matters, helping them structure their affairs in a tax-efficient manner and resolve disputes with taxing authorities. Dan has worked with many tax-exempt organizations, including Cycle Oregon. When Dan thinks back over many of the fun times he has enjoyed, a bike is usually found somewhere in the story. 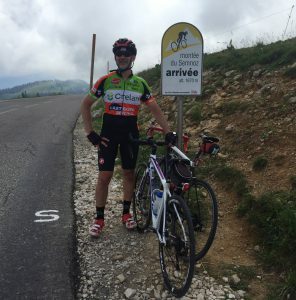 Although he would prefer to forget those early memories of riding a steel-framed bike with a huge Evel Knievel plastic gas tank mounted over the top tube, Dan knows those early rides made him the cyclist he is today. 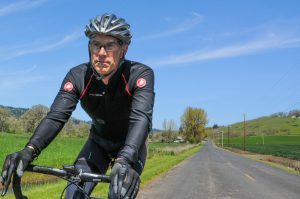 Dan enjoys time in the saddle on the roads of the Willamette Valley and the single-tracks of Central Oregon. Above all, Dan looks forward to his next adventure with Cycle Oregon. 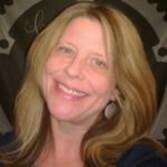 Karmen Fore has over 25 years of experience working at the local, state, and national level. She teaches, writes papers, and speaks on a broad array of issues ranging from leadership, natural resources, social and economic trends, and transportation policy. Ms. Fore is currently the director of Oregon Solutions Program at Portland State University. She previously served as senior director for federal/regional affairs, & transportation to Governor Kate Brown. Prior to that, she served as deputy chief of staff to Congressman Peter DeFazio and professional staff to the House Transportation & Infrastructure Committee in the U.S. Congress. She also previously served as the congressman’s district director. Ms. Fore has worked for the Oregon Department of Administrative Services as the communications and legislative coordinator, and at the Oregon Commission on Children and Families as the communications and policy analyst. Ms. Fore has extensive campaign experience having worked on numerous statewide coordinate campaigns. She has served on several boards including the Oregon Student Foundation; the University of Oregon’s Alumni Association Board of Directors; the UO Planning, Public Policy, and Management Advisory Council. Ms. Fore attended the University of Oregon and earned a Master of Arts in Public Affairs in addition to a Bachelor of Arts degree in Political Science, with a minor in Planning, Public Policy, and Management. After 5 years as a producer on the TV series Miami Vice, Daine served as President of Don Johnson Productions, based at Universal Studios. She went on to join Antonio Banderas as his producing partner at Warner Bros.’ Green Moon Productions. For over 25 years, she has traveled to Africa, India, Japan, China, the Middle East, North and South America and beyond producing films and television with industry talents. 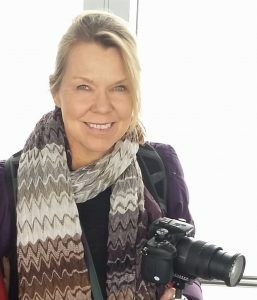 In addition to her current documentary filmmaking, Daine creates story content for marketing and advertising, managing accounts and campaigns for clients including Microsoft. An advocate for accepting diversity, Daine co-founded The Miracle Project, a theater arts program featured in the Emmy-winning, HBO documentary Autism: The Musical. She authored a book for educators and parents; facilitated trainings in India and Africa; and presented at the United Nations. Daine produced a live concert called Autism is Awesomism, airing on ABC with Jack Black and Stephen Stills, as well as an album with top artists such as Chaka Khan and Babyface. Daine has competed in seven Ironmans, with a PR 4th place finish at the World Championships in Kona. She holds a BFA in Film and BA in English from New York University. While she still holds onto her New York roots, Daine happily lives in Lake Oswego, OR and is a mother of two sons, Jackson and Wyatt. Martin works with a large variety of organizations including hospitals, health plans, multi-specialty and single-specialty clinics, long-term care providers and related healthcare providers. With over 20 years of experience, Martin is nationally recognized as an expert on best practices for clinic administration. His particular area of expertise lies in compensation arrangements and ownership succession issues. He also assists clients with issues related to hospital and clinic mergers and spin-offs, and tax and business planning. Martin is involved with several organizations. He is on the Board of Trustees at Pacific University, Board of Directors at Cycle Oregon, Treasurer and Board Member at New Avenues for Youth, Adjunct Professor of Business at Washington State University, and Member of the American Bar Association Tax and Health Law Sections. Martin received his Bachelor of Arts in Political Science from the University of Oregon. He also holds a J.D. from Northwestern School of Law at Lewis and Clark. Michelle is currently a Principal with the public transit planning firm Jarrett Walker + Associates. 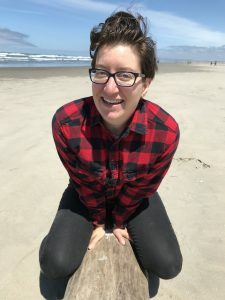 Previously, she worked for the Bicycle Transportation Alliance, for her own consulting company, and for public electric utilities in Oregon and Washington. Michelle joined the Board in 2012. On Cycle Oregon rides, she is particularly interested in the human history and natural history of small towns and rural areas. She can often be found at the back of the pack, with a large souvenir lashed to her bike rack. With the rest of her free time, she enjoys surfing, bike touring, and home repair. Steve Young has been in Oregon since 1995. His passion for cycling and love for his adopted state brought him to Cycle Oregon. Born and raised in New York, Steve grew up ski racing and took to cycling as a means to recover from a skiing injury. He never looked back, and has been riding and racing his bike ever since. Steve graduated from Clarkson University in New York, studying chemical engineering. He worked for the Procter & Gamble Company in Cincinnati in Brand Management for 7 years before moving west in 1995 to realize his dream of joining Nike. At Nike, he’s worked in innovation, footwear product creation and category general management. With Nike, Steve and his family lived in Melbourne, Australia and, more recently, Sao Paulo, Brasil. In his spare time, Steve loves to spend time with his wife, Mary, and their 3 daughters. 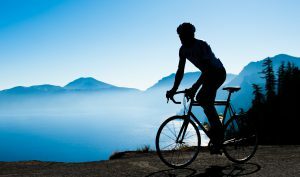 He’s looking forward to all of 2018’s great Cycle Oregon rides.